For the children’s hospital café project, we wanted to create an atmosphere that was fun and colorful, yet still clean and contemporary. 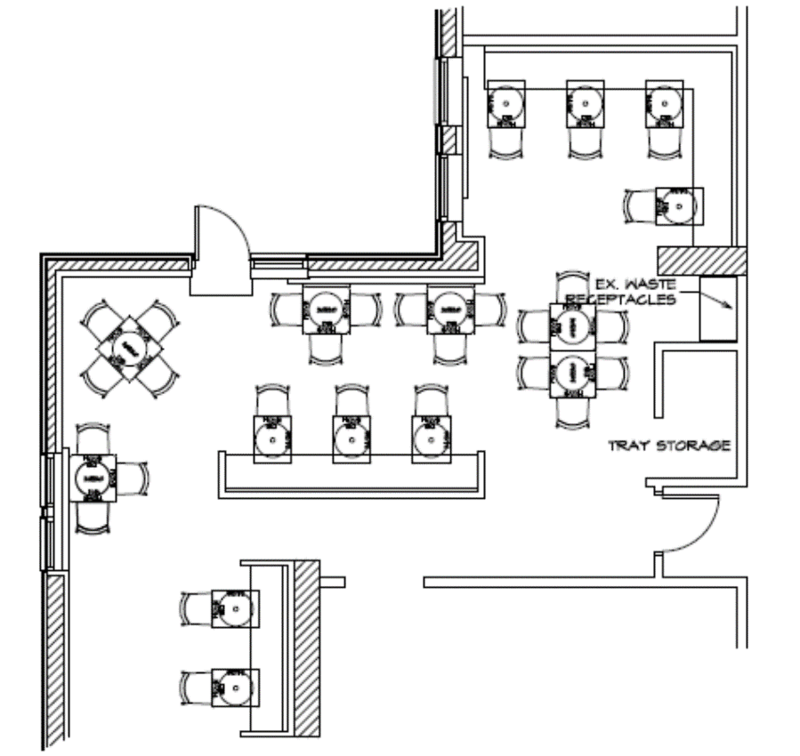 The layout called for banquette and café table seating. 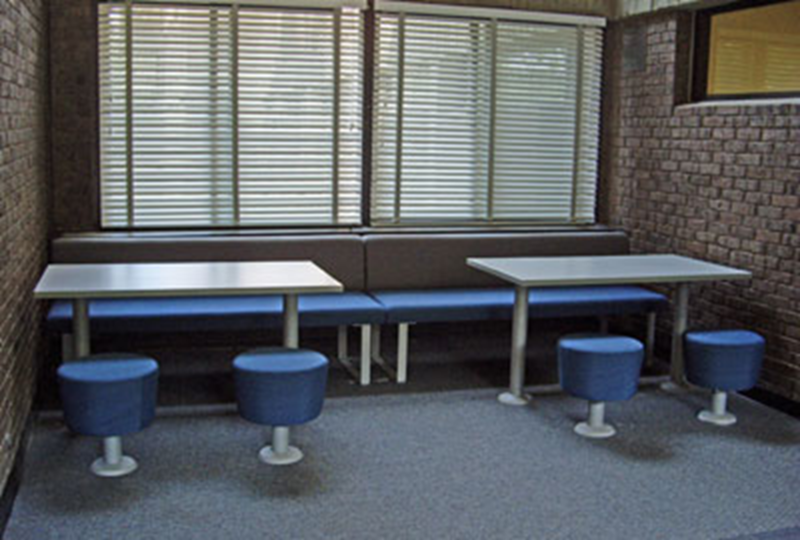 We specified ERG International’s café height tables with either a trumpet or flat cut base. We liked the cylindrical shape as it is a simplistic and contemporary look and also very easy to clean and maintain. The top may be custom cut to specific sizes and is available in many laminates as well as other solid surface materials. 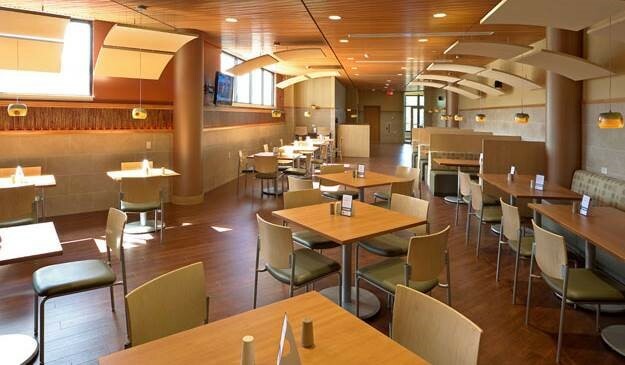 We recommended ERG’s Webby Café stacking chairs as they are made from a nylon plastic, which makes it a great choice for a hospital setting in terms of maintenance and durability. 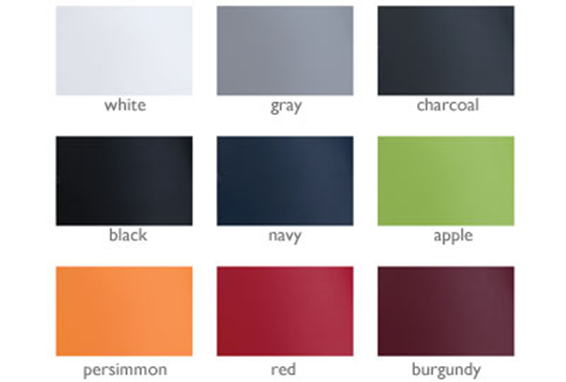 The chair is also available in 9 fun colors. 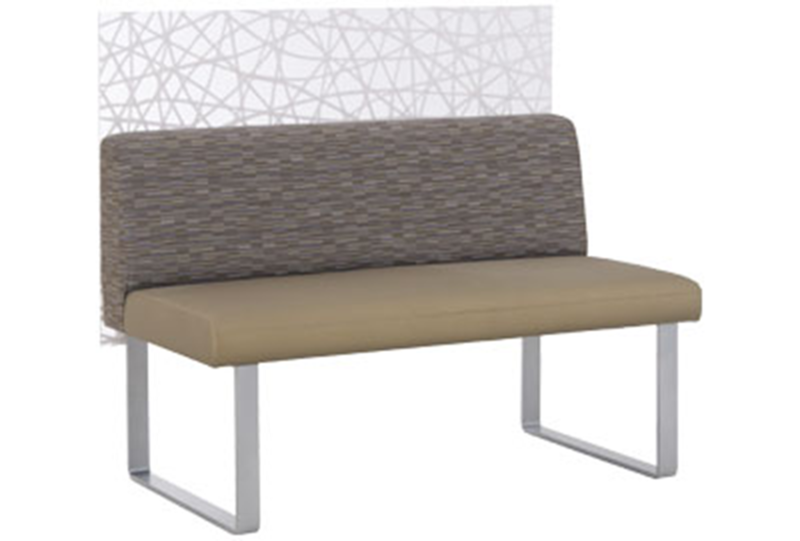 The Newport collection, also by ERG, was our recommendation for the banquette seating. 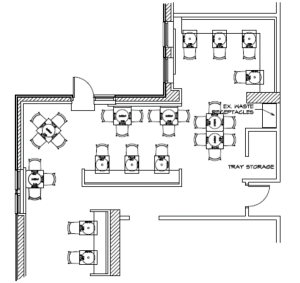 With custom options and the utmost in comfort seating, this was a perfect solution. Fabricated no sag-springs are installed in the back along with interlocking helicoil springs to prevent sagging and also to provide additional back support. The solid steel sled frame base follows the contemporary idea, not to mention that the space underneath can be easily accessed for cleaning purposes. The seats can be upholstered with matching fabrics or in a two tone. 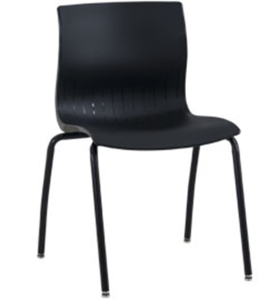 We recommended a vinyl seat with a fabric back for durability and maintenance purposes. 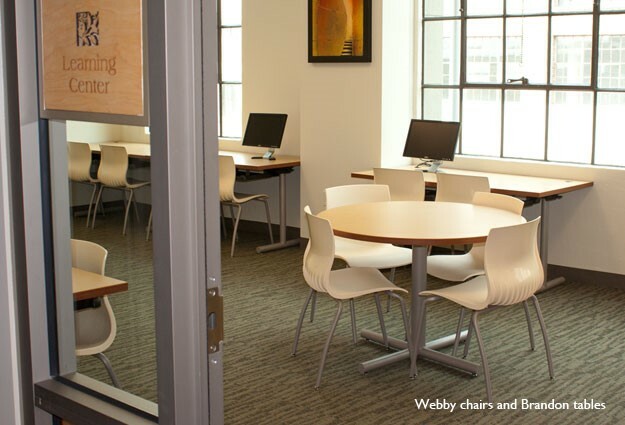 ERG’s Webby Café stacking chairs come in 9 different colors.